In the heart of the California wine country, secrets seem to grow on the vines that Uriel Macon's family have tended for generations. Uriel, the winery's young widower, steers clear of complicated relationships. He prefers the lonely comfort of his vineyard and his horses, until he is reminded of his love affair with Amanda Scanlon; a relationship that ended when she abruptly left the country years ago under a cloud of mystery. When Amanda returns to Sonoma because of a family crisis, she tries to mend the broken relationships she left behind. In addition, she seeks the truth about her parents' complicated history and her own parentage. But Amanda's unveiling of the past has devastating consequences. In the midst of California's beautiful Sonoma Valley, the Scanlon family struggles to overcome harsh realities with dignity and grace. Both Amanda and Uriel stretch to take care of their families, which are facing immigration issues, marital crises, and loss. While navigating these challenges, the couple must decide if they trust themselves to love again, or to finally let each other go. 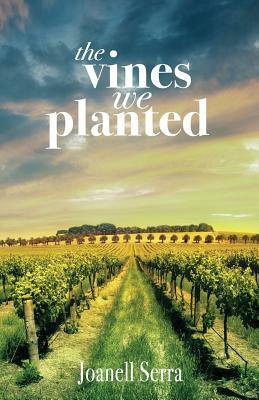 A Sonoma local, author Joanell Serra's debut novel is captivating, poignant, and uplifting, demonstrating how seeds planted long ago continue to grow. Sometimes into a strangling weed, sometimes offering a bountiful harvest.